This former Free Imperial City is the second largest town in Bavaria, and principal town of the region of Franconia. In German tradition, Nuremberg is often referred to as the Mastersingers’ city, the city of Dürer, toy city, and even Christmas market and gingerbread town. Indeed, Nuremberg is still known as the `Treasury of the German Empire‘. The city walls, originally built in 14th and 15th C, with numerous gates and towers still maintain both the historical identity and integrity of Nuremberg. Nuremberg was first mentioned in an imperial document in 1050. The Stauffer Emperors extended the castle which had been built on a sandstone hill (“Nuorenberc” = rocky hill) into an imperial palace. With their support Nuremberg flourished as a centre of trade in the Middle Ages and was granted the status of a Free Imperial City. By the 15th C Nuremberg was wealthy and provided an ideal climate for the arts and sciences. Following the Thirty Years War, however, the city fell into decline. 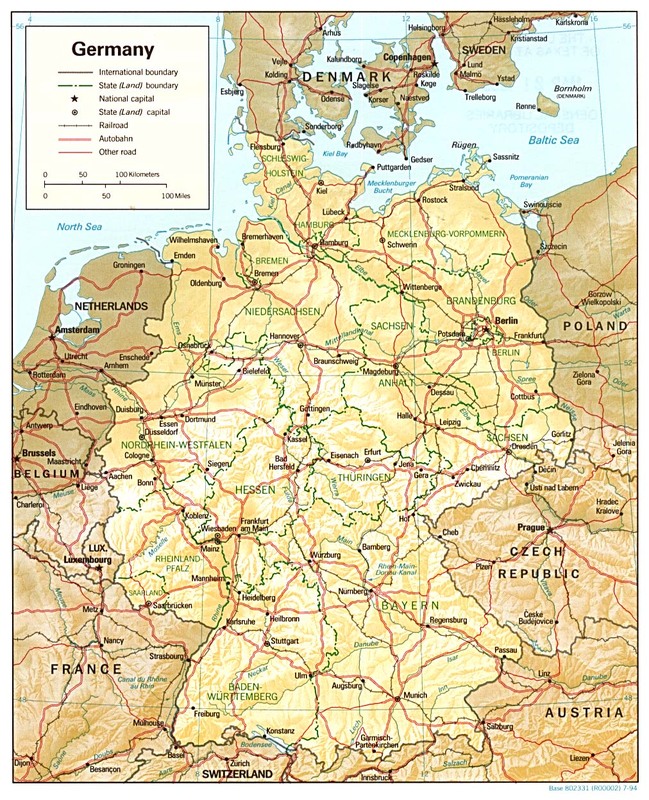 In 1806 it became part of the Kingdom of Bavaria and flourished once again, this time as an industrial centre. The darkest chapter in Nuremberg’s history was ushered in when the Nazis chose it as the site of their Party Rallies and in the 1930’s it became a symbol of National Socialism. The old town centre was reduced to rubble in 1945 as a result of Allied air raids. The birth of German industrial tradition and its technical achievement is often associated with Nuremberg. Martin Behaim (1459-1506) designed the world’s very first globe here. Peter Henlein (1480-1542) produced the first pocket watch (Nürnberger Ei), The first German railroad came into operation here, serving Nuremberg and Fürth in 1835. The pride and joy of the Nurembergers are the famous poet Hans Sachs (1494-1576); painter and printer Albrecht Dürer (1471-1528) and the master of Renaissance sculpture Veit Stoss (1445-1533).